Nothing says celebrate like a glass of sparkling wine. Champagne, prosecco, cava—even sparkling cider feels like a special occasion when served in a champagne glass. 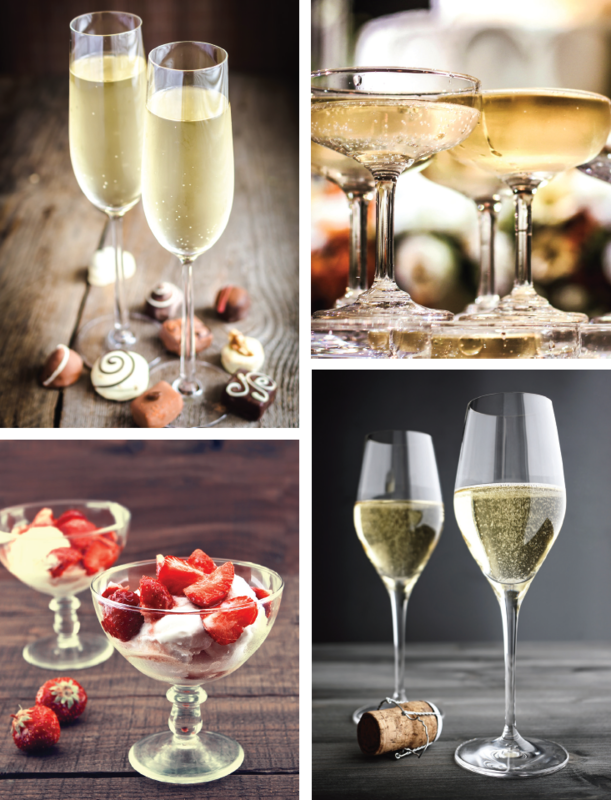 When stemware came into vogue several centuries ago, Champagne was served in a bowl-shaped glass called a coupe. This wide, shallow bowl—also known as a champagne saucer—was de rigueur for the first half of the twentieth century, and while it’s beginning to make a comeback, it still reminds us of Gatsby-era fêtes and mid-century soirées. It’s unmatched for grand glamor and throwback style, and is also an appealing way to serve dessert. The most popular shape today is the champagne flute, which was all the rage by the 1980s. The tall, slender shape of the champagne flute is specifically designed to slow the escape of those delicious bubbles. Its cousin, the tulip flute, also features a narrow base, which then swells into a rounder shape before curving back again at the lip. For sensory enjoyment, the tulip flute may be the best of the bunch, allowing for a more generous serving than a flute, protecting the bubbles, and gathering more of the effervescent aroma in it’s bulbous upper section. Find your favorite flute and raise a glass with friends and family. Cheers!